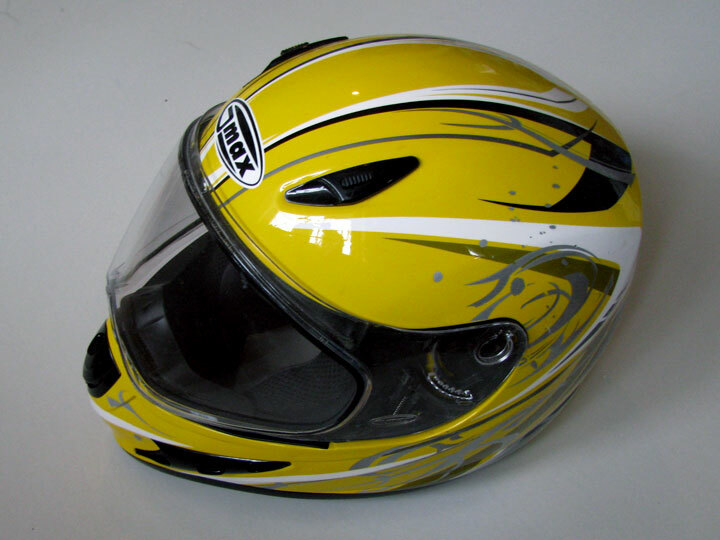 Last November, we told you about the GM37X helmet that G-Max shipped to us for testing. It wasn’t a spectacular helmet full of features and noise reduction, but we said that at the price point (around $105), it provided a cheap, serviceable lid with a few nice options, including the capability to turn the helmet into a dirt model by removing the visor and attaching a roost shield instead. Well, I’ve been running the helmet again this riding season, and so far my opinion on the helmet hasn’t changed. Since the weather’s still pretty cold for riding, I’ve had plenty of opportunity to test the helmet’s optional snowmobile visor – and I’m a big fan. You have the option of either a single-pane visor for the GM37X, or a double-pane. 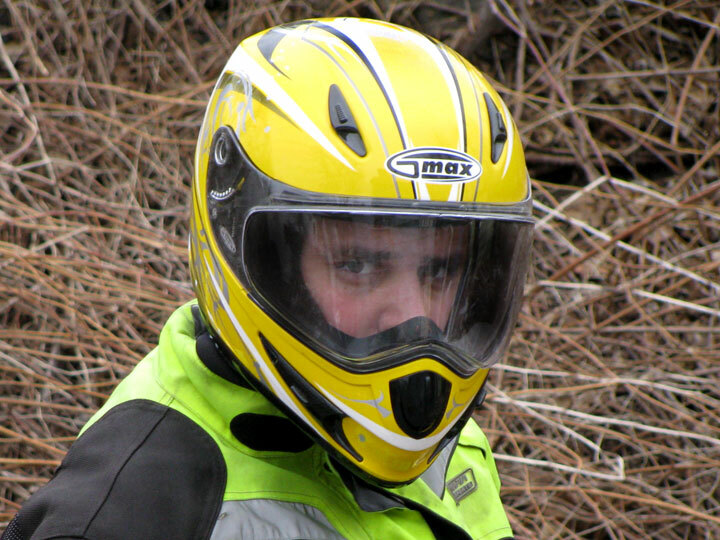 The double-paned visor is intended for snowmobile use, but it’s very handy this time of year. Normally, cold weather riding means a fogged visor – you’ve got to hold your breath or open your visor at stop lights to keep visibility, and you have to keep helmet vents open even at speed, to make sure airflow keeps your visor clear. Not spectacular but then it’s also pretty cheap. Not so with the GM37X’s snowmobile visor. I haven’t been able to fog it up with my breath yet this year. I haven’t even used the optional breath guard – I installed it for a minute, but found it too bulky and uncomfortable once I put the helmet on, so I quickly removed it and haven’t needed it since. The GM37X won’t be the absolute warmest helmet in the cold – the snowmobile visor’s edges don’t seal vacuum-tight against their opening, and if you ride in the rain, a solitary drop will work it’s way in and drop on your nose once in a while as a result. But, we’re talking a very, very small amount, and not that often. I didn’t find it a problem, although a pickypants whiner could complain, I suppose. Just remember, you’re getting what you pay for. In all the kilometres I’ve used it for, I haven’t had a single serious problem yet, and for the asking price (around $110), that’s all anyone should ask for. Web Bike World reviewed Gmax helmets, and had very good things to say about the quality. I’m planning on taking a close look the next time I’m at a bike shop that sells the brand. Have you seen the graphics for the Crusader model? Too bad they’re not available anymore, it’s a sweet looking lid. I don’t know, if you could only justify one helmet for road riding, sledding and dirtin’ it seems like pretty good value…?